Thankfulness at home. Thankfulness at work. Thankfulness—in every area of life. These are just a few of the timely topics included in this refreshing volume designed to lighten your day and brighten your outlook. Each reading will speak to your spirit as you experience a heart overflowing with perpetual thanks. 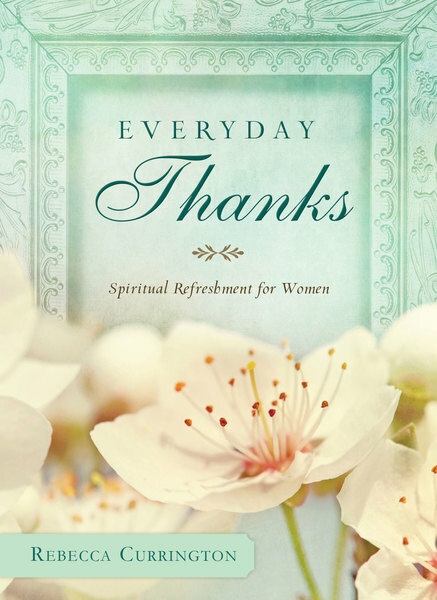 The more than 200 gratitude-themed devotions are succinct and power packed, perfect to fit into even your busiest day. All wrapped up in a beautiful package, you’ll want to buy two—one for yourself and one to bless the life of a friend.